The French Way is the most traditional of all the pilgrims' ways to Santiago and the best known internationally. 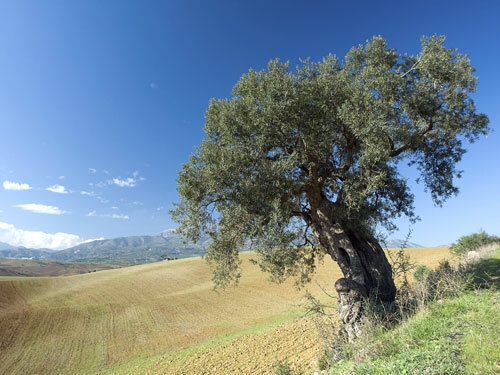 The third section of the Camino Frances starts from Logrono in the heart of the famous Rioja region and finishes in medieval Burgos. This section is slightly flatter than the previous; it crosses the hilly province of Burgos, passing typical villages, vineyards and ruined castles. You will be pre-booked in a traditional hotel in the heart of the town. Logrono is a city rich in history and traditions that have been preserved since the Middle Ages. This first day is an easy stage through landscape dominated by vineyards. After 12km, you will pass Navarrete, a town build in the 12th century by the "Knights of the Holy Sepulchre". Here you will have a chance to stop for some refreshments and to visit the fabulous Baroque Church of "La Ascension". 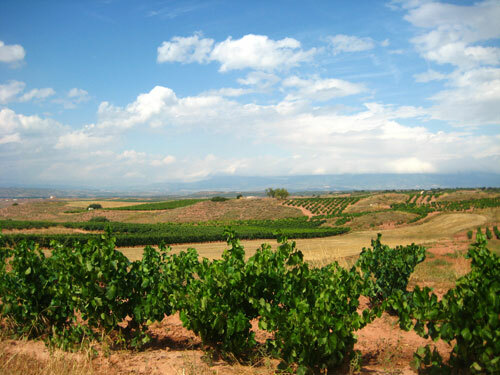 Finally, arriving in Najera in the afternoon, you can enjoy the panoramic views from this hill-top town. Country roads dominate this stage, which runs through the Cantabrian mountain range to the north, and the La Demanda mountain range to the south. Enjoy a shorter walking day with great views. There is the possibility to visit the Monastery of "Valvanera" deep in the middle of the "Sierra de la Demanda". Later today, you will arrive in Santo Domingo de la Calzada; another great milestone on the road to Santiago. After a brief walk through a wooded area, the Camino takes us through crop fields, interspersed with small brooks and oak woods. This landscape warns us of the approaching mountain range and, indeed, we can soon see the Oca mountains looming on the horizon. This afternoon, you will have the chance to relax in the lovely main square of Belorado. On the route, don't miss the Altarpiece in the 16t-century church of San Juan Bautista, in Granon. Until you get to Villafranca Montes de Oca (14km), this stage is similar to the previous one. However, as you go deeper into the woods, you will soon discover the beautiful Oca mountains. In St Juan de Ortega, have a look at the Gothic Mausoleum. After a quiet sojourn in the mountains you will make your way down into the valley of the Pico river. Here, the tranquil landscapes disappear, making way for the roads and buildings that characterise Burgos and its outskirts. After breakfast we bid you farewell. Burgos still preserves important vestiges of its medieval splendour. 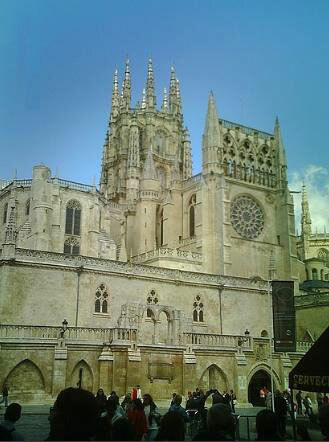 The city, which was the capital of the unified kingdom of Castilla-Leon for five centuries, boasts a masterpiece of Spanish Gothic architecture; the Cathedral of Burgos (a UNESCO World Heritage Site). Aside from a visit to the historic quarter, you can take quite an interesting walk along the banks of the Duero and Arlanza rivers. Discover the delicious and varied local cuisine in one of the city's restaurants. Luggage transportation: Luggage will be transported from hotel to hotel day 2,3,4,5,6. The baggage allowance is one item (maximum 20kg) per person. If you need to add more bags please contact us in advance. ► If you would like to stay in Logrono during the September Wine Fair, an additional fee will apply - contact us for details. 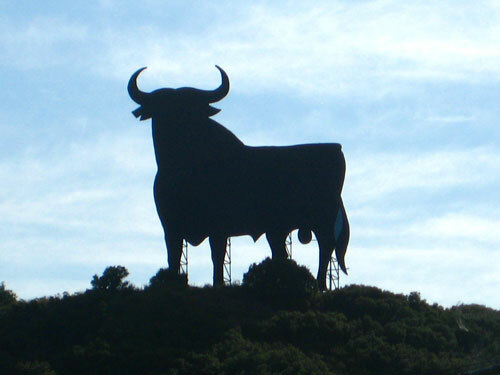 ♦ Fly in and out – It is best to fly to Bilbao, Santander or Madrid. To/ from Bilbao you can fly with EasyJet (daily flights to Bilbao from London Stansted Airport), Iberia (flights from Gatwick or Heathrow via Madrid) and AerLingus (operates out of Dublin). To Santander there are direct connections only with Ryanair (from London Stansted, Dublin, Frankfurt, Milan and Rome, as well as Reus and Madrid in Spain), and internal connections with Iberia from Alicante, Barcelona, Gran Canaria, Malaga, Palma de Mallorca, Seville and Valencia. To/ from Madrid you can fly with almost every company. You can check the Spanish national company: www.iberia.com. 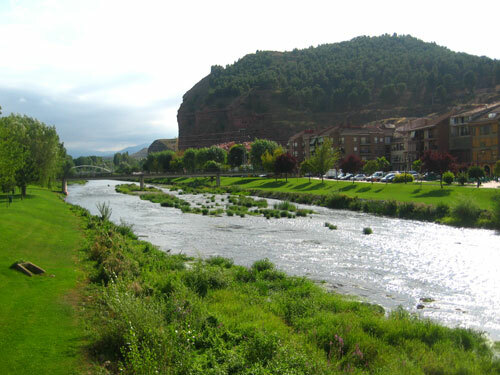 ♦ Getting there – The train from Bilbao to Logroño takes 1 hour. From Santander you can go by train, 1.30 hours. As well as from Madrid – 2.30 hours journey by train. Check the timetable at the following link: http://horarios.renfe.es/hir/ingles.html. ♦ Getting back – Getting back from Burgos is again by train. To Bilbao - 3 hours journey. To Santander is 1 hour journey, and to Madrid is 3 hours journey. You can see the timetable and book online on www.renfe.com.